The Hudson County condominium market has been very competitive in recent months, making now a great time to sell your condo. We recently released our June 2017 market report, which goes over the details of why this market is so hot right now. 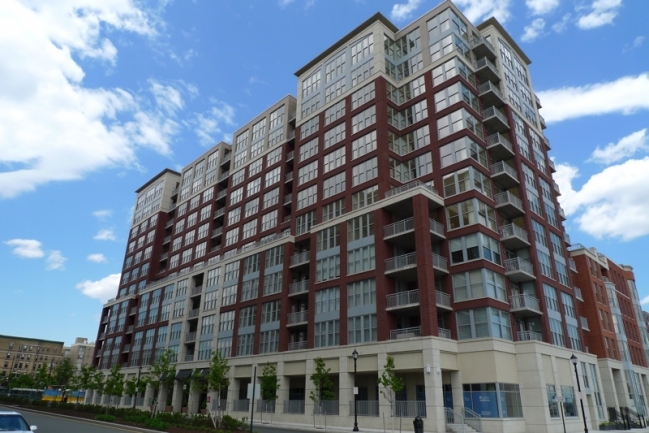 To recap, the average sales value of a Hoboken condo is $790,147 (a 7.4% increase from this time last year) while the average sales value for a Downtown Jersey City condo is $812,894 (a 12.8% increase from June of 2016). For some examples of what luxury properties sell for, check out the following top-selling condos in Hudson County. 4 bedroom, 3 bath, 2,903 sq. ft. new construction with floor-to-ceiling windows and custom wood cabinetry. 800 sq. ft. private roof top terrace with NYC views. 4 bedroom, 4.5 bath, 3,614 sq. ft. townhome with four floors and private elevator. Newly landscaped backyard with access to condo amenities; gym, pool, jacuzzi, concierge. 2 bedroom, 2 bath 1,279 sq. ft. home with views of Manhattan Skyline. 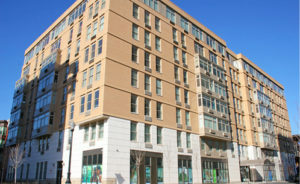 Hotel-like amenities including 3rd floor landscaped plaza with swimming pool, fitness center, media room, and sun deck. 2 bedroom, 2 bath, 1,169 sq. ft. lavish condo with panoramic River and NYC views. Gourmet kitchen, luxurious bathrooms with imported tile and marble baths. 3 bedroom, 2.5 bath, 2,200 sq. ft. duplex with vaulted ceilings, wall of windows, and 24-ft. balcony overlooking the Hudson River and Manhattan. 2 bedroom, 2 bath, 1,472 sq. ft. with NYC skyline views and 5-star hotel amenities including state-of-the-art fitness center, media room, whirlpool jacuzzi, indoor pool, sundeck, and private shuttles. 3 bedroom, 2.5 bath, 2,146 sq. 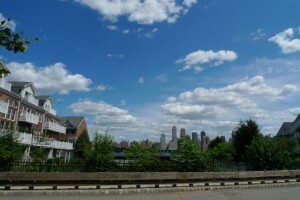 ft. duplex townhome with NYC views, private elevator, and garage. Amenities include community pools, jacuzzis, waterfront promenade, and shuttle. 2 bedroom, 2.5 bath, 1,800 sq. ft. modern townhome with Bay views, Brazilian cherry hardwood floors, and large master suite with ensuite bath. Amenities include community pool and marina. 2 bedroom, 2 bath, 2 half-bath, 2,369 sq. ft. luxury townhome with elegant living room, coffered ceiling, eat-in kitchen with granite counter tops, and a family-room with fireplace and breakfast nook. 4 bedroom, 4 bath, 2 half-bath, 4,800 sq. ft. new construction townhouse with stone exterior and roof deck with NYC views. Open-concept kitchen with top-of-the-line appliances and a master bedroom with fireplace, cove lighting, and walk-in closets. If these top-selling condos sound similar to your own property in Hudson County, now may be a great time to sell! Do you want to receive top dollar for the sale of your own Hudson County condominium? Find out the value of your property, and list with us to get the results you’re looking for. If you’re considering purchasing a condominium in Hudson County, I have provided easy-to-use search options to search by price, number of bedrooms, or unique features such as pre-construction condominiums or a Manhattan view. In a few short weeks, you could be enjoying the 5-star resort amenities and luxurious lifestyles of these Hudson County condos! Better act fast though; these units are never on the market for long! To learn more about the Hudson County condominium market, contact me and we can get started on achieving your real estate goals.